Is your basement colder than you like? Looking for heating ideas that don’t cost a fortune? The first step in solving basement heating problems is identifying why your basement is cold in the first place. Then you can decide the best way to solve the problem. Here are some tips from Keith Hill, Stay Comfy’s resident HVAC pro. Inadequate insulation. This is especially a problem in older homes, many of which have poorly insulated walls. Older homes may even have no insulation at all — not uncommon for a time when it was thought that block walls didn’t need insulation. But the fact is that an uninsulated block wall above grade has the same insulating value as a double pane window. That makes for a lot of heat loss, especially if you have a walk-out basement with all block walls. Fortunately, newer construction homes generally have some insulation because modern codes require it. But insulation isn’t the only reason for a cold basement. Inadequate insulation. 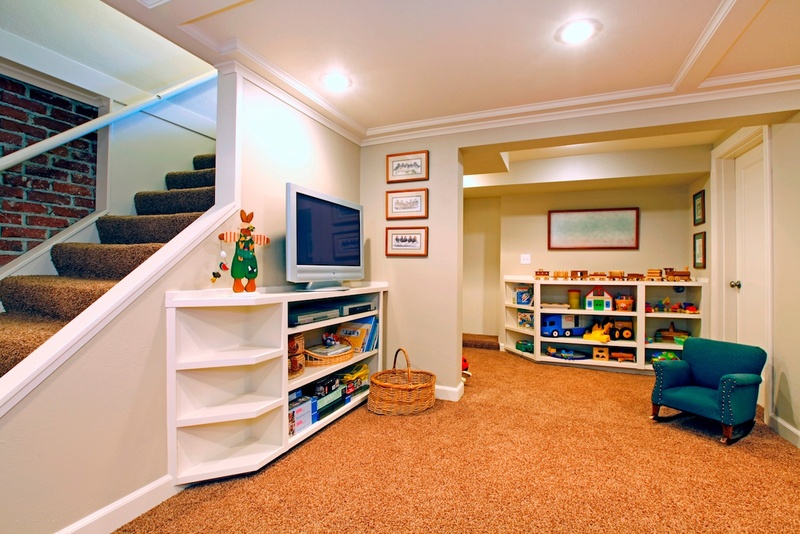 Some basements were built with the idea that they only served as storage or utility, so they weren't included in the HVAC system. Even if yours was, it may have been built with too few registers to handle its actual heating needs. Stratification. Sometimes basements are cool because of stratification — warm air rising. So your basement heat may be "escaping” to the upper levels of your home. As with any problem, the solution needs to address the root cause. The best way to find out how to address your basement heating is to have an HVAC expert conduct a heat loss calculation on your home. This evaluation, which will assess your insulation, ductwork, and other elements of your system, will give the inspector the information needed to advise you on next steps. Next steps can range from very simple to major renovation, depending on the heat loss assessment and how you want to use your lower level. If it’s insulation you need, your HVAC pro can help you determine the best type and amount, as well as arrange for installation. If you’re missing heat in the basement altogether, that may call for added ductwork, registers, and so on. Depending on how fancy (and warm) you want to get, you may be looking at more significant renovation. However, if it’s a finished, livable space you’re going for, then this is a route you’ll want to seriously consider. If you’ve got a basement HVAC system that’s configured adequately (good ductwork, enough registers) but it’s still colder than you like, then you’ll want to investigate zoned heating. It’s the very best way to precisely control the temperature in your lower levels. A separate thermostat downstairs with zone dampers in the ductwork will direct the warm air to where you want it. Of course, space heaters are an option, but electric heat is expensive and gas space heaters are not nearly as efficient as gas furnaces. A gas fireplace might also do the trick. If you have a simple problem like stratification, then sometimes just closing the door to the lower level makes a big difference. It prevents warm air from the basement from rising and keeps cool air from the upper levels from filtering down. Fall Furnace Checklist: Is My HVAC System Ready For Winter?